This Solar Powered Single Chip is our most popular model. 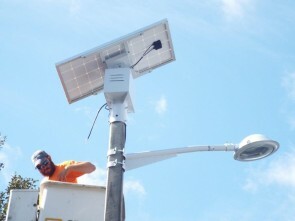 This LED Street Light uses solid state / light emitting diode (LED) light source, Self sustained and powered by Solar energy and Battery Back-up, Comes complete with all the components, wiring, and hardware to install the lamp comes with a 12 VDC electronic dimming driver. Hot dipped galvanized steel/powder coated structure, arm and lamp head, Illumination time is up to 12 hours or more, generally dusk to dawn. Typical dusk to dawn illumination. 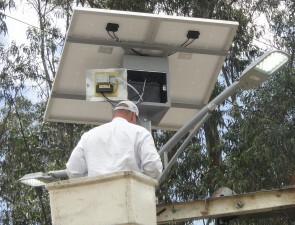 Up to 3 days reserve power to allow for successive cloudy weather and days without sunshine.